If you are looking for a self catering holiday cottage in Braunton, view our holiday homes here. Self catering properties in Braunton tend to be limited and are generally at the quality end of the market. Here we have a great collection of self catering cottages in Braunton including holiday homes that are dog friendly and luxury holiday properties in Braunton and Saunton. There are pretty village cottages and rural farm houses as well as a collection of stunning holiday apartments over looking Saunton Beach. Braunton is one of the most popular holiday bases in the area and if you are looking to book a cottage in Braunton, reserve early to avoid disappointment. All of our Braunton cottages are family friendly and are ideal for holidays by the beach with Saunton and Croyde just a short drive away and plenty to do in the village itself. Braunton in North Devon claims to be the largest village in the UK and is still growing. 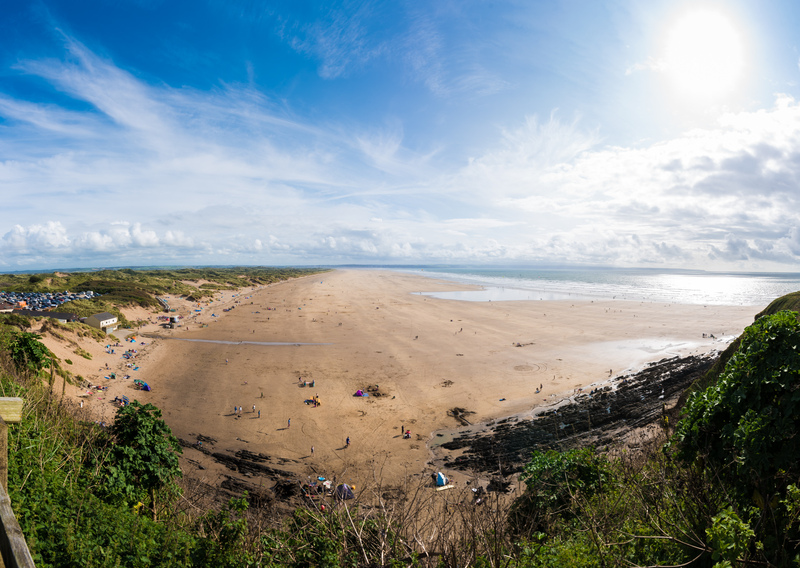 This popular village acts as a gateway to the glorious surfing beaches at Saunton Sands, Croyde, Putsborough and Woolacombe and therefore forms the focal point for the surf industry of North Devon. Braunton is also developing a reputation for quality restaurants and cafes, such as The Cafe du Coin and is also home to the award-winning Squires fish restaurant. Our holiday homes and luxury holiday cottages in Braunton follow this trend with cottages such as Kittiwake Cottage in the old and character areas of the village and yet just a stones throw from the village centre. If you love our Braunton holiday cottages, why not read more about this popular village with our Braunton holiday Guide. Braunton is a Popular Location on the North Devon Coastline, Book a Holiday Cottage Today! Braunton is a popular location with our holiday cottage guests due to its easy access to the North Devon coastline, with its glorious sandy beaches and excellent surf, and a thriving surf industry within the village itself, with major surf shops and outlets as well as a supermarket. There are numerous conservation areas within the village where you will find quaint streets full of old farmhouses and popular local pubs. The village also has an annual Christmas fair as well as numerous events on the recreation ground including a May bank holiday village fair, car event and various dog shows. If you are looking for a location as a base for a beach holiday on the North Devon coast, Braunton is ideal and you can find a quality Braunton self catering holiday cottage listed here.